It's the same deal every year - Costanza treats me to a birthday dinner and vice-versa. So this time, we went back to the well of sorts. 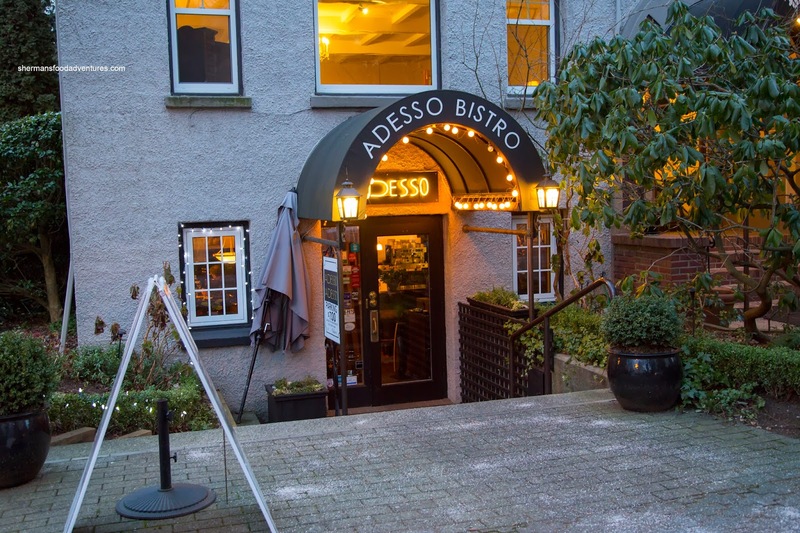 We decided to try out Adesso Bistro situated on the former location of L'altro Buca which ironically was where we had Costanza's bday dinner a few years ago. After circling the neighbourhood for what seemed like an eternity (much like a Miley Cyrus music video), I decided to go for their $7.00 valet parking. Pretty reasonable if you ask me since meter parking ain't cheap either. We decided to share some appies as a table with the Vitello Tonnato arriving first. 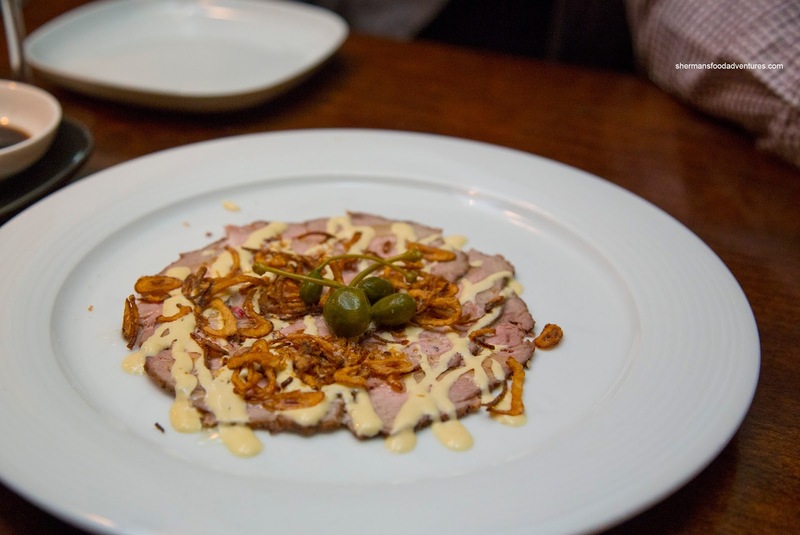 It consisted of thinly sliced chilled veal, tuna mayonnaise, crispy shallots and caper berries. With a nice "doneness", the veal was sufficiently moist. At first, I thought the dish was under-seasoned, but the combination of the smooth mayo, crispy aromatic shallots and most importantly, the salty and tart caper berries, there was a nice marriage of flavours. 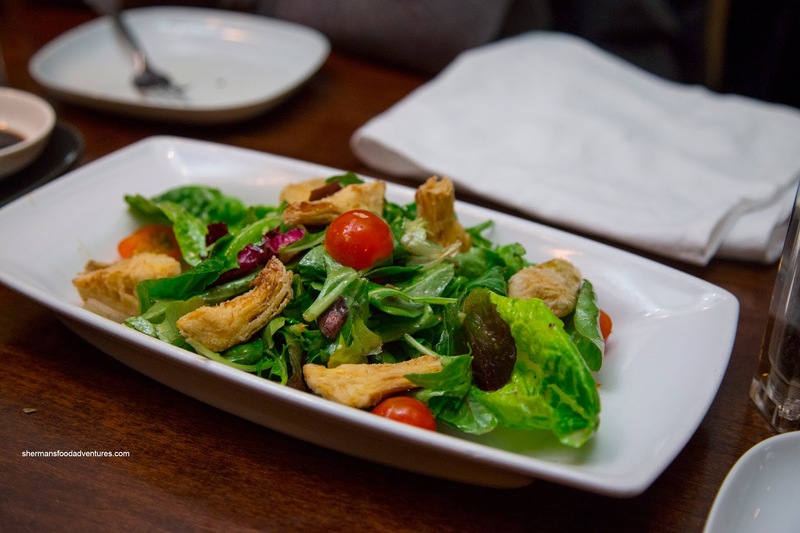 Next up was the Insalata di Carciofi consisting of crispy artichokes, romaine hearts, mixed leaves, cherry tomatoes and aged sherry vinaigrette. Lightly crispy, the artichokes were minimally greasy being delicately tender. What really hit our senses was the sherry vinaigrette as there was an appetizing acidity. 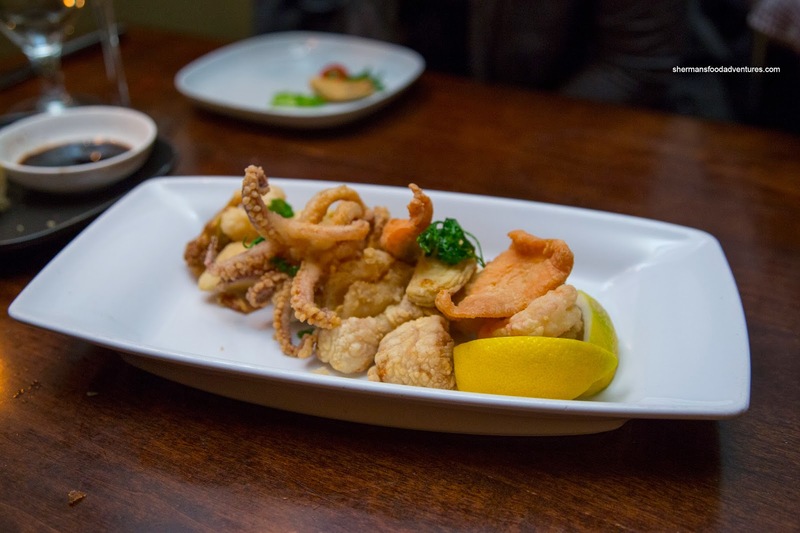 Next up was the Fritto Misto di Mare featuring crisp fried seafood, vegetables, lemon and parsley. For $12.00, we felt it was a good value. Moreover, the execution was almost flawless where the seafood was cooked just enough while exhibiting a light crispy batter. However, even with a squeeze of the lemon wedge, the dish could've stood for more seasoning. 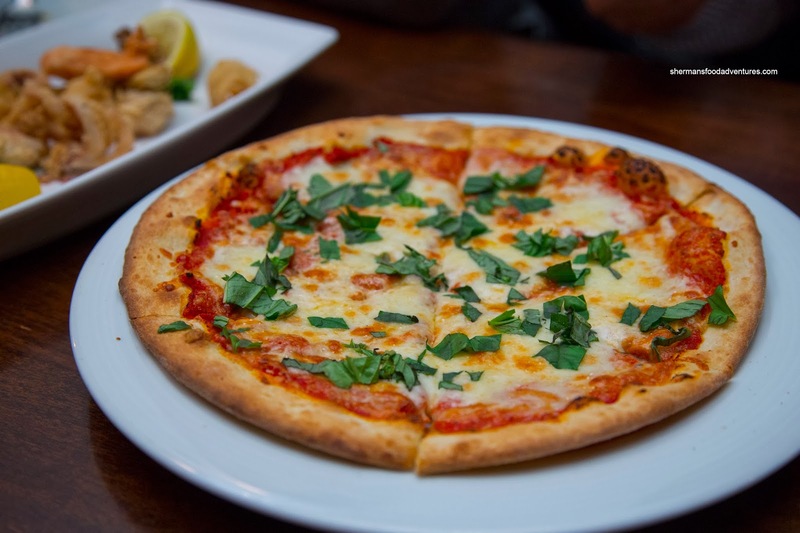 Our last appie was the Pizza Margherita made with tomato sauce, bocconcini, and fresh herbs. Well, by virtue of not being a Neapolitan pizzeria, this was acceptable. Naturally, there wasn't a whole lot of leoparding while the centre was a bit underdone. With all that being said, it was okay with a fresh-tasting tomato sauce and plenty of basil. 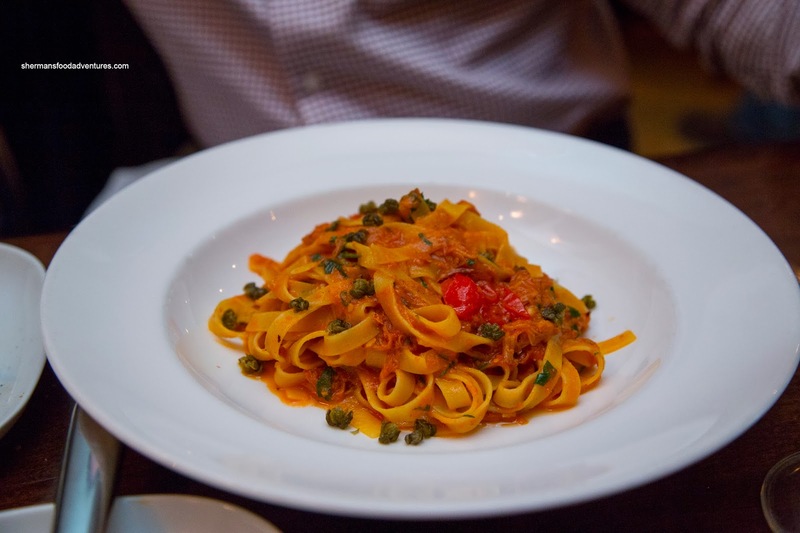 Onto the mains, Costanza had the Ragu di Cinghiale or tagliatelle with wild boar ragu, preserved lemon and crisp capers. We all agreed that this was a very well-executed pasta dish. It consisted of truly al dente tagliatelle with meaty and rich boar ragu (which was not overly wet nor salty) combined with the zip from the capers and tomato sauce. 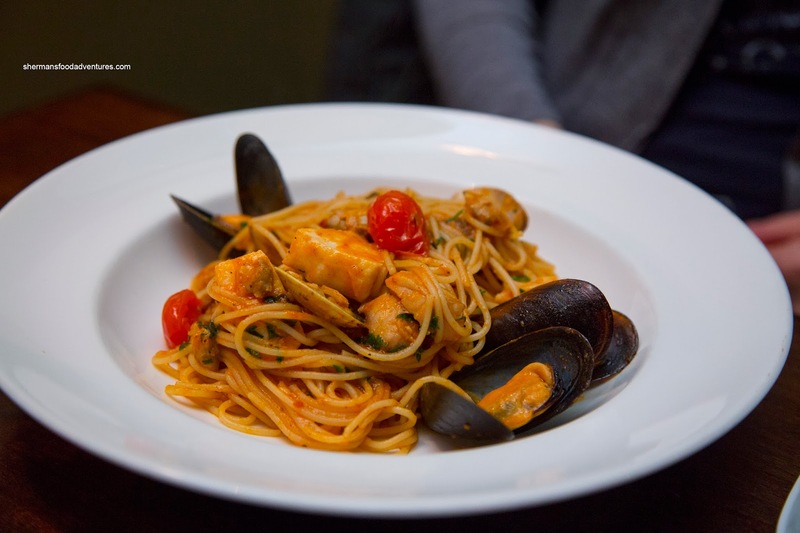 Elaine went for the Spaghettini con Frutti di Mare made with a light tomato sauce, prawns, clams and mussels. Due to the thin pasta, it was softer than the tagliatelle, but was far from soft. We could really taste the olive oil in the tomato sauce as well as what we figured was chili oil since there was a background spice. We thought the seafood was on point as well. 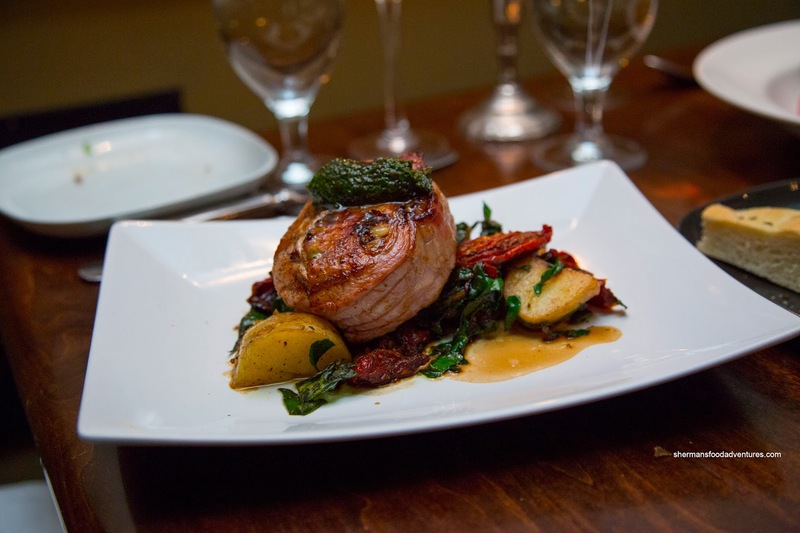 Viv decided on the Filetto di Maiale consisting of pork loin, pine nut, raisin, roasted garlic stuffing, Swiss chard, potato, roasted tomato and salsa verde. For such a thick piece of pork, they did a masterful job where it was moist and tender. With the combination of ingredients, there was this herbaceous sweet and aromatic thing going on. I thought the use of sundried tomatoes combined with the salsa verde added the necessary acidity as well. 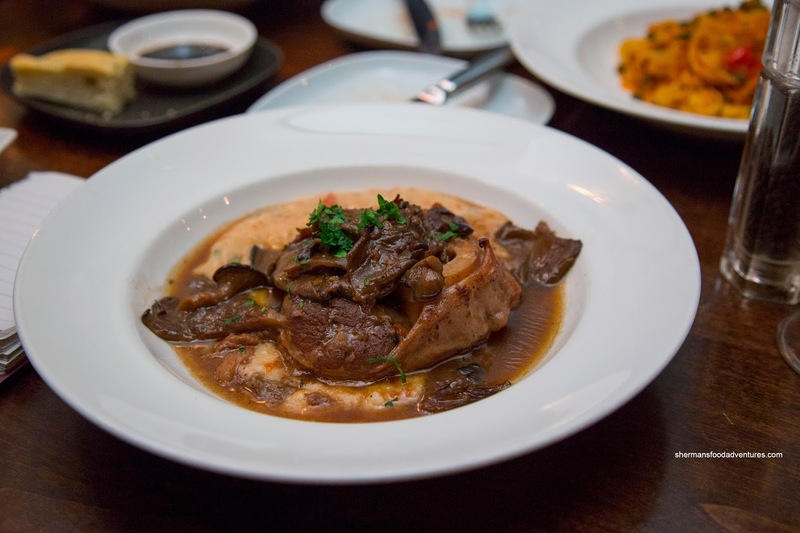 For myself, I had the classic Osso Buco di Vitello or veal osso buco, mushroom braising sauce and roasted tomato polenta. Although the veal was fork tender, I thought the meat could've been more moist. However, I guess that was what the ample amount of natural and woodsy tasting sauce was meant to do. I would've preferred a touch more salt, but that didn't make or break the dish. mascarpone mousse) and Limone (lemon and pistacchio semifreddo, raspberry pate, fresh berries). After all the delicious food we had, the desserts fell short. 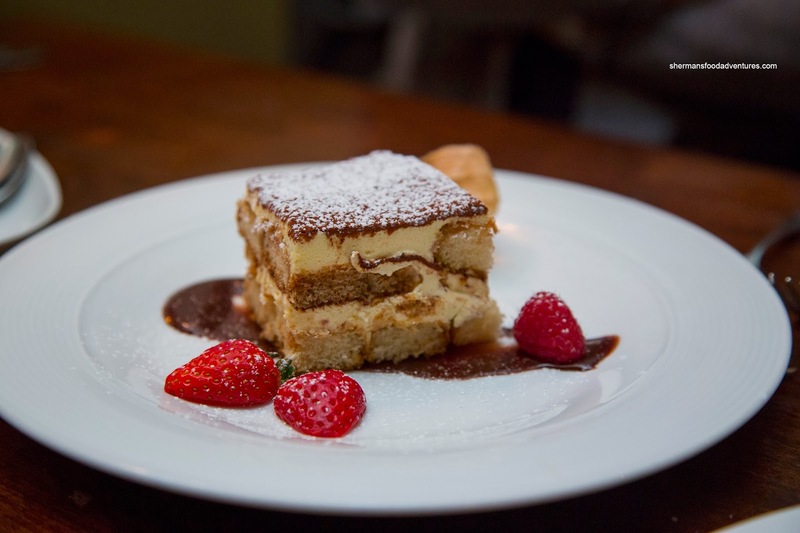 We found the tiramisu dry with only minor hints of coffee and marsala. We did like the mascarpone though as it was rich and light at the same time (yes, go figure). As for the limone, we thought it was far too dense and wet. It didn't even resemble a semifreddo. We did like the sweet lemon while the tartness of the raspberry pate balanced the flavours out. Ignoring the desserts for a moment, the rest of the meal was very well-executed with only minor issues. 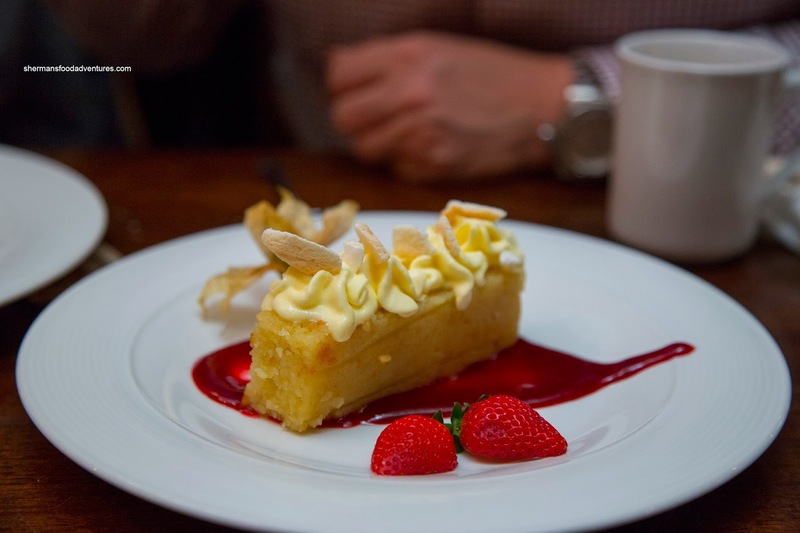 Considering the price point, Adesso Bistro deserves many return visits.